The wealth management arm of PM+M – the chartered accountancy, business advisory and wealth management group – has announced details of its next seminar. 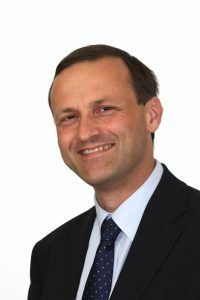 The event, which is called ‘a tour of the pensions landscape’, is being staged in partnership with Steve Webb – the former minister for pensions and now head of policy at Royal London. It will take place on Wednesday 6th June at Turf Moor. We are in a period of changing pension legislation and retirement expectations so this seminar will address what the future might hold. In his presentation, Steve will discuss various issues including tax relief, annual allowance, lifetime allowance and defined benefit transfers. The content of the event has been carefully created so it is relevant to anyone serious about their route to retirement, or who is approaching retirement. Tickets cost £10 with all proceeds going to Pendleside Hospice in aid of its 2018 Corporate Challenge.